As a meat-eating human, I always try to eat as much of any given animal as I can, even if that means removing its face from its skull. 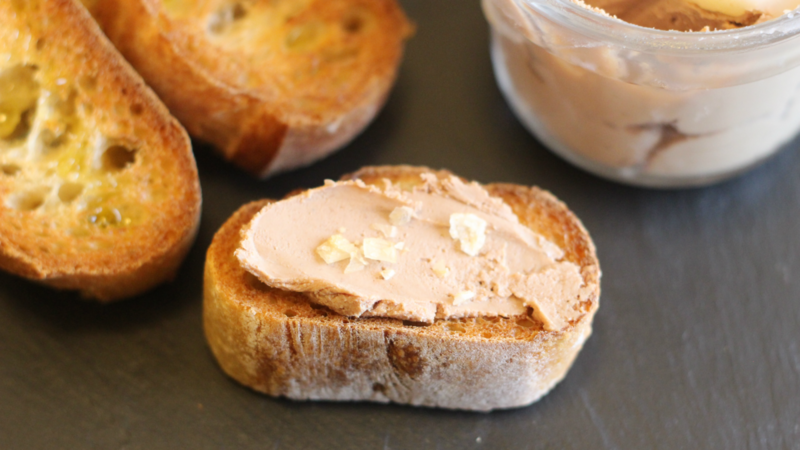 As such, I'm a big fan of offal-centric applications, particularly the surprisingly cheap and easily-executed chicken liver mousse. Move the onions to a bowl and toss the sprig of thyme. Add the livers and increase the heat to medium-high. Season them with salt and pepper, and cook the little organs until they're medium rare (pink on the inside but firm), about two or three minutes each side, then move them to a bowl to cool. Deglaze the pan with brandy, scraping up the little browned bits with a wooden spoon, and let the liquid reduce by half. Pour your fine brandy reduction into a bowl or cup, and let everything cool completely. 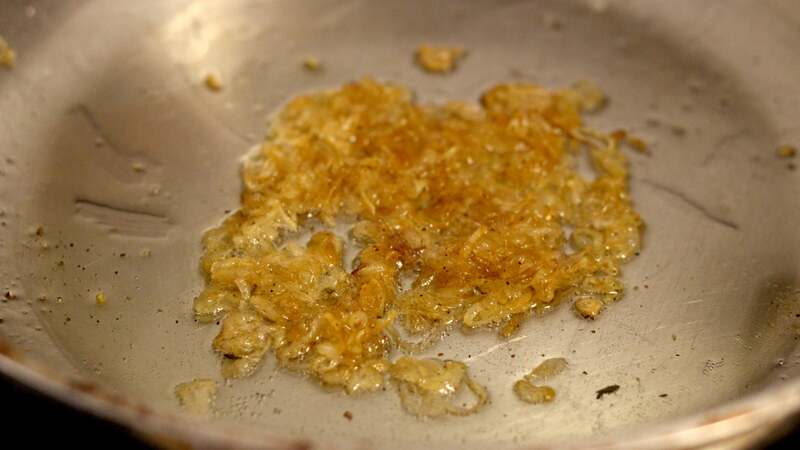 Once the liver, shallots and reduction are entirely, utterly cool, add them to the food processor or blender and get them as smooth as you possibly can. Add the mascarpone, in smallish chunks, and blend until smooth. Run the mixture through a fine mesh sieve and dollop it into little jars. If you want to get really fancy, you can spoon a little melted chicken fat on top of the mousse to create a glorious little fat cap. Close up the jars, pop them in the fridge, and let them chill for a few hours. 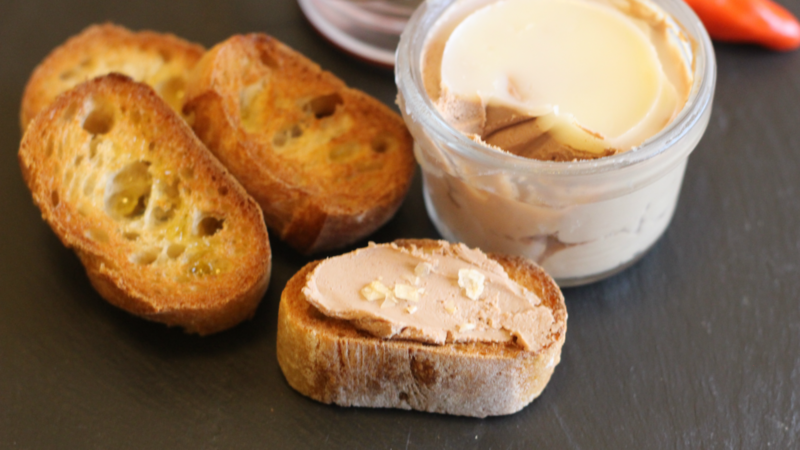 Serve with grilled or severely toasted bread, with plenty of flaky salt and some super sour pickles.